When considering the future of North and South Korea, we can see that the time has come to raise an alternative elite, the kind that meets the expectations of the modern world and has no relationship with the Kim Jong Il regime. But since it is impossible to participate in any political activity or gain a great deal of knowledge while inside North Korea, this kind of elite can only be formed in South Korea. For North Korean intellectuals with a sense of the modern world, South Korea is a base from which they can go into action and even receive an education. The birthplace of the alternative elite is the defector community in South Korea. In 2010, the number of defectors in South Korea reached 20,000. The number of defectors is growing, and their social backgrounds are very different from those who escaped in the 1990s and after. Most of the defectors who crossed over to South Korea in and after the 1990s were farmers, laborers and soldiers. Being realistic, it is difficult to view them as talented people who could have been converted into an alternative elite. However, there are a growing number of exceptions now. First of all, there are intellectuals among the defectors. Secondly, there are quite a lot of people who are young, talented and eager to get educated. The number of juvenile defectors who need to be educated in South Korea has now reached 1,800. […] Among the defectors in South Korea today are writers, poets, journalists and people working in the movie industry. But most of them find it difficult to continue their creative lifestyles. The experiences that are the themes in their work are, of course, close to the reality of North Korea. However, it is a matter of regret that South Korean mainstream society is indifferent to both North Koreans and their experiences. 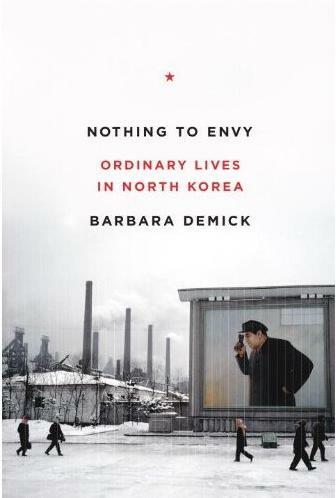 Under such conditions, works that deal with North Korean life are not marketable. This is why North Korean artists cannot make a living in creative activities without external support. There are various ways to support them. Giving financial support to North Korean writers, supporting magazines and publishing companies that publish their work and promoting exhibitions by North Korean painters are just some of the examples. Broadcasting stations for North Korea such as Free North Korea Radio can act as a base of financial support for the alternative elite. While it is important to help North Korean elites, however, it is more important to pursue the formation of a new North Korean elite group. Intellectuals who were educated in North Korea know well about the reality of the country, but they face a lot of obstacles in learning modern knowledge. On the contrary, young North Koreans can learn about world class technology and knowledge when educated in South Korea. But I find a lot of problems when I listen to the experiences of defectors studying in South Korean universities. Most either quit school or are regularly absent. Of course some leave school because of a lack of ability, but for many of them the reason why they do not graduate does not have anything to do with their ability at all. […] We can also see how difficult it is for North Korean students to study when we consider the economic status of defector families. The income of a North Korean family is about 50 percent of that of a South Korean family. This forces them to put more effort into making a living than studying hard, and those defectors who could serve as the future elite cannot focus on their studies because they have to support themselves. This is why we should consider providing scholarships for defector students. Current scholarships support them only with tuition fees. However, considering the financial problems North Korean students suffer, that is far from enough. Not all the defector students should receive living expenses and scholarships. It is a better policy to provide opportunities to those students who are determined to perform the role of future elite. This method is not only economic, but it also encourages them to study harder. 25 to 30 percent of the whole defector student community would benefit. Of course, in order to select nominees objectively, there should be well-organized evaluation standards with grades and an interview at their core. It would be a good idea to provide those top students with a living expense subsidy of 400,000 won to 500,000 won a month and a scholarship for graduate school. This program is not a big pressure. Scholarships could be provided by the government, but there will be only about 100 students who deserve the scholarship in the whole country, so any foundation or social organization would be able to support them, too. Women who fled to China describe acute shortages and anger after a disastrous currency revaluation. As an ailing Kim Jong Il tries to secure his son’s ascension, some people are beginning to speak out. Reporting from Yanji, China – North Koreans who recently fled to China say many of their fellow citizens are losing faith in the regime of Kim Jong Il after a disastrous currency revaluation that wiped out savings and left food scarcer than at any time since the famine of the mid-1990s, when up to 2 million people died. Li was one of five North Koreans from different parts of the country interviewed this month near the border with China. 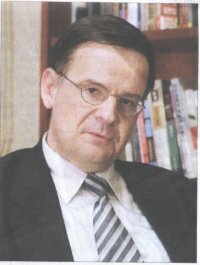 Using pseudonyms, as many North Koreans even outside their country do to protect family members from retaliation, they told of panic in the wake of the bungled economic move, which left even a staple such as rice in the hands of black marketeers and sent the communist government scrambling to repair the damage. […] “They apologized, but it didn’t do us any good. People already had lost all their money,” said Song Hee, a 17-year-old from Musan. She said party officials in Musan went door to door, speaking to neighborhood leaders of the inminban, or “people’s committee,” about the economic mistakes. The teenager fled last month after the revaluation wiped out the cash her parents had been saving in hopes of sending her to college. “My friends would leave too if they could. They see no future in North Korea,” Song Hee said nervously, her bangs slick with sweat across her forehead. Before the revaluation, Song Hee said, her mother had been eking out a modest living selling cheap socks, keeping the family reasonably well fed. North Korea announced Nov. 30 that it was issuing new currency and that the old currency would become invalid. People were permitted to trade in their old money for new, but only what would be worth about $30 on the black market. (The limit was later raised.) Unlike in Pyongyang, where people had seven days’ notice, the switch-over of the currency took place within 48 hours in Musan, Song Hee said. “People were in shock. Our money was becoming like water. With the psychological stress, many people had to go to the hospital,” she said. […] “They wanted to make everybody the same,” said Choi Kum Ok, a 54-year-old member of the Korean Workers’ Party who left North Korea’s Yanggang province in mid-December to work in China. Choi, who said she remains loyal to the regime, nonetheless acknowledged that the economic reform had backfired. “There is no food and what there is has become unaffordable,” Choi said. […] The scarcities are spreading to the more privileged in North Korea. An aid worker who visits regularly said that on a trip this month, officials begged him to bring in food the next time. “I usually bring a bottle of Scotch as a gift — they really enjoy it — but this time they said, ‘Why didn’t you bring in rice instead?’ ” said the aid worker, who asked not to be identified. Even the relatively privileged capital has been affected. “We live in one of the richer parts of the country. Things were OK for us around 2004, but now they’ve gotten bad again, maybe worse than before . . . people are starving to death,” said Su Jong, 28, who is from Pyongsong. The city, on the northern outskirts of Pyongyang, is home to many of North Korea’s top science institutes and to the largest wholesale market. It was a common sentiment among the North Koreans interviewed in China, several of whom said they weren’t defectors and hoped to return to their country. North Koreans live under a cult of personality in which members of the Kim family are demigods with unsurpassed skills at everything from golf to metallurgy and, of course, economic management. During the 1990s famine, North Koreans were largely persuaded by propagandists that U.S. sanctions were to blame for their troubles. Dong-A Ilbo (March 24, 2010) “I’d hoped that the inter-Korean tours would be resumed after a hiatus of more than 20 months. But North Korea has threatened to seize our assets in the North. I’m just aghast.” Ilyeon Investment Chairman Ahn Gyo-shik is nervous over Pyongyang’s latest moves. “I feel helpless since our company is rattled by external conditions, not our management’s ability,” he said. The North has threatened to seize real estate owned by South Korean businessmen unless they visit North Korea for a land survey by Thursday. Ahn said he will cross the inter-Korean border with staff from the subcontractors of Hyundai Asan Corp. early Thursday morning. 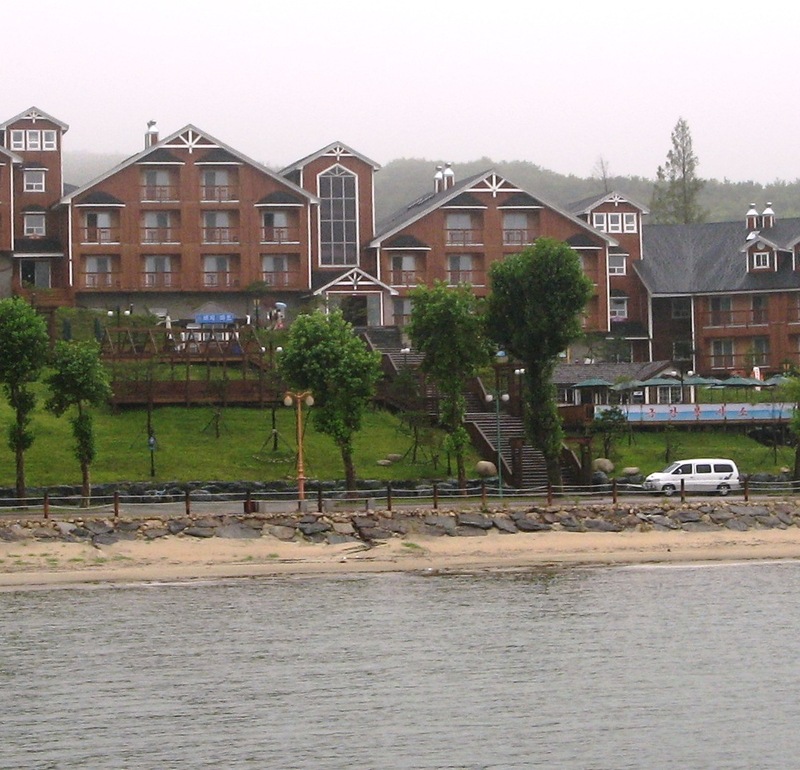 Since launching a tour to Mount Kumgang in 2003, Ahn has built Kumgang Family Beach Hotel (photo) and a sashimi restaurant in the North. He has even served as a chairman of the Corporate Conference for South Korean Companies Doing Business at Mount Kumgang, a gathering of Hyundai Asan’s subcontractors. In an interview with The Dong-A Ilbo yesterday, Ahn said the head of a conference member company recently died of a heart attack due to severe stress from his business in North Korea. 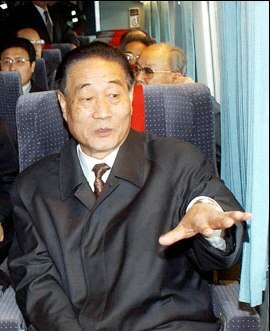 The suspension of the inter-Korean tours caused the late chairman’s company to teeter on the verge of bankruptcy, causing his death at age 55, Ahn said. Ilyeon’s prospects are no better. 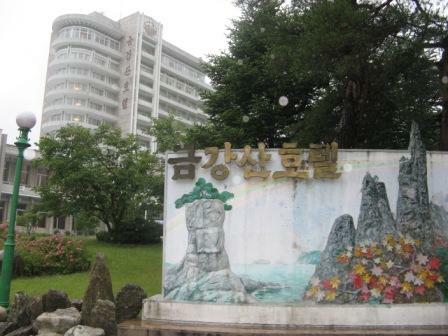 Ahn has invested 14.7 billion won (12.9 million U.S. dollars) in his North Korea venture, including 13.4 billion won (11.8 million dollars) to build the hotel and additional facilities. His company is six billion won (5.3 million dollars) in the red due to the suspension of the Kumgang tour. Its deficit slightly decreased in early 2007, but the killing of a South Korean tourist at Mount Kumgang in July 2008 by a North Korean soldier dealt another serious blow. On the North’s land survey Thursday, Ahn said, “Considering precedents and North Korea’s recent moves, Pyongyang is unlikely to make just empty threats. In the worst-case scenario, the North will confiscate assets held by South Korean companies after compensating South Korean investors with part of their investment.” Worryingly, a Chinese tourist agency has released a six-day tour of both Kaesong and Mount Kumgang. This could encourage the North to deprive South Korean companies of their right to run businesses in the North. Yang Mu-jin, a professor at the University of North Korean Studies in Seoul, said, “North Korea could mention Hyundai Asan’s underpayment of 400 million dollars as grounds to freeze assets held by South Korean companies. The North could also freeze the properties of South Korean companies, force them to recall their staff, annul existing contracts, and sign contracts with new companies.” Other experts, however, say the North is unlikely to confiscate South Korean companies’ assets or deprive them of their exclusive right to do business. For Thursday’s survey, Hyundai Asan said yesterday that 52 staff from 33 companies such as Hyundai Asan, its subcontractors, Korea Tourism Organization and Emerson Pacific will make the trip. Forty-eight workers from Hyundai Asan and its subcontractors had applied for their visit. Shim Sang-jin, in charge of Mount Kumgang affairs for Hyundai Asan, will lead the group. The group will board a bus in Seoul and pass through the Customs, Immigration and Quarantine Office in Goseong County, Gangwon Province, around 9:40 a.m. Thursday. Officials of the tourism organization will head for the North today. SEOUL, March 18 (Yonhap) — North Korea executed a former top finance official last week, holding him responsible for the country’s currency reform fiasco that has caused massive inflation, worsened food shortages and dented leader Kim Jong-il’s efforts to transfer power to a son, sources said Thursday. Pak Nam-Ki, who was reportedly sacked in January as chief of the planning and finance department of the ruling Workers’ Party, was executed at a shooting range in Pyongyang, multiple sources familiar with information on North Korea told Yonhap News Agency. “All the blame has been poured on Pak after the currency reform failure exacerbated public sentiment and had a bad effect” on leader Kim Jong-il’s plan to hand power over to his third son Kim Jong-un, one source told Yonhap on condition of anonymity. Pak, a 77-year-old technocrat, was charged with “deliberately ruining the national economy” as a “son of a big landowner,” the sources said. But an overwhelming number of people believe the charge serves only to scapegoat Pak for the currency revaluation, which fueled already-bad inflation and dried up food and basic supplies for the public, the sources said. Pak, a graduate of engineering schools in the former Soviet Union and one of its satellite states, disappeared from North Korea’s official media reports in January after having accompanied Kim Jong-il on a number of his field inspections. Pak’s execution is the latest in a series of punishments the North has reportedly meted out to its elite for failed economic reforms. South Korean officials and analysts believe North Korean leader Kim has been pushing a series of bold economic drives in recent months to pave the ground for power transfer to his son, after the regime shored up its military self-confidence by conducting its second nuclear test in May last year. See reports which deny the fact that Pak Nam-gi was executed or even held responsible for the currency reform. 북한의 박남기 당중앙위 부장이 지난 연말 단행된 화폐개혁 실패에 따른 문책으로 현직에서 해임되고, 공개 처형됐다는 일부 보도는 사실이 아니라고 북한전략센터가 주장했다. (사) 북한전략센터는 30일 “현재 해외에 머물고 있는 복수의 북한 소식통을 인용해 화폐개혁은 전적으로 내각이 실무를 주도했으며, 박남기 부장과는 전혀 무관한 일로 그가 책임질 일이 아니라”고 말했다…. …소식통은 “박 부장은 26일 현재 현직을 유지하고 있으며, 업무에 충실하고 있다”며 “철직(해임)설이나 처형설은 난센스”라고 일축했다. 소식통은 “박 부장이 최근 김정일 앞에서 자그만 ‘말실수’를 해 김정일로부터 질책을 받은 바 있다”면서 “(이 때문에) 김정일의 공개 활동을 수행하는 ‘행사조’ 명단에서 제외됐다”고 전했다. Kim Jong-il’s visit to China: What should we expect? There are rumours that Kim Jong-il will visit China late-March. If the visit takes place, it must be after the 18 March when the joint US-ROK military training ends, which is regarded by North Korea as a prelude to war. The supreme commander can’t be seen to leave the country during that period. Alternately, the visit might be made by a top official in the North Korean system, such as Kim Young-nam. So, what should we expect from this meeting? …As for the nuclear question, the Six Party Talks are still in official hibernation, with a flurry of bilateral consultations taking their place. Recent Chinese statements that the talks could restart in the first half of this year are promising. The renewal of talks would place China back in its preferred position as mediator. Outside of these negotiations, North Korea is often portrayed as China’s headache. When North Korea is anchored in the negotiation room, it becomes the US’s headache. Getting negotiations started is therefore clearly in China’s interests. It could also help China on another nuclear case, namely Iran. Getting North Korea back to the table could demonstrate the value of negotiations instead of sanctions. …A further issue is that the US is more constrained by the continuation of bilateral negotiations. Bilateral negotiations could sideline US allies like Japan and South Korea. They could also reaffirm to North Korea that there is a reward for abandoning the Six Party Talks. Despite all of this there remains a possibility that the Six Party Talks could be restarted. A possibility which would satisfy North Korea on bilateral talks, and the US, Japan and South Korea on Six Party talks, could be for the Chinese to restart Six Party talks and the sub-working groups simultaneously. One of these sub-groups could deal with bilateral US-DPRK relations including diplomatic recognition. The US and DPRK might then meet bilaterally in this Six Party talks sanctioned format. Or the Chinese might have other similar diplomatic tactics to secure face-saving for both parties. For China, a visit by Kim could and would be employed to confirm North Korean willingness to reengage in talks. Kim will want something in exchange from the Chinese. Most likely, this will take the form of investment, and this is where the economic side comes in. …Even Chinese investment will not be enough to reverse North Korea’s dismal economy. North Korea will not be prosperous in 2012 by any standards. So Kim cannot easily make North Korea both strong and prosperous – although he may make it strong by sticking with the nuclear weapons. The nuclear arsenal, then, is both a bargaining tool, and the regime’s insurance policy. North Korea, without nuclear capacity and missile technology; would be a poor Communist country in a remote area in Asia likely to attract about as much news coverage and international attention as Laos. Kim has little room for manoeuvre. By 2012, he has promised to make North Korea both strong and prosperous; a deadline that will be very difficult to meet no matter how successful his diplomacy. He also faces the vexed issue of succession. Notwithstanding possible new investments and renewed momentum in relation to the Six Party Talks, a visit to China will only serve to highlight these problems. See the full text here…. 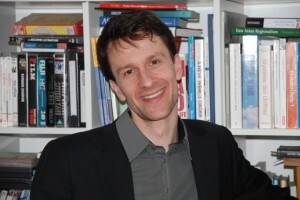 Jonas Parello-Plesner is Executive Director of a Danish NGO. He used to work as senior advisor with the Danish government on Asian affairs. He is on the board of editors of the Danish magazine Raeson and regular columnist on Asian affairs. I’ve been watching North Korea ramp up efforts to attract foreign investment since Jack Pritchard and I heard last November in Pyongyang from the chairman of Pyongyang’s Foreign Investment Advisory Board a presentation of new laws that provide for repatriation of investments, tax benefits, and wages of 30 Euros/month that undercut the $57/month wage rate at the Kaesong Industrial Zone. 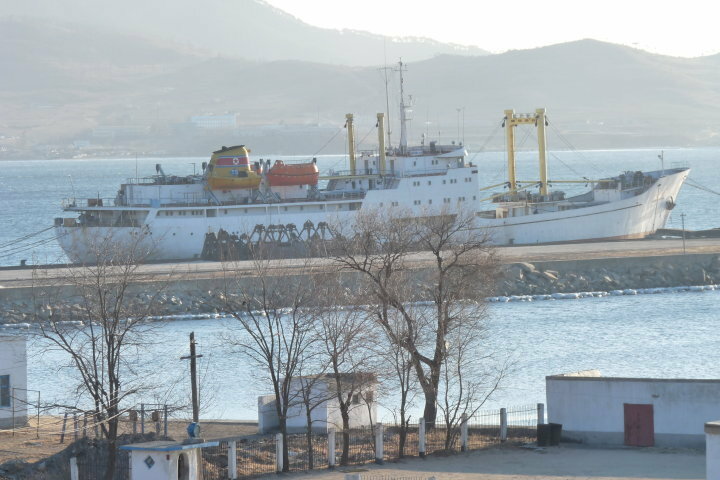 Although catastrophic failure of currency revaluation implemented from late November of last year has severely eroded the credibility of the government’s economic policies, there are serious efforts underway to realize new foreign investment at Rajin-Sonbong port at the northeastern tip of North Korea. The location is significant because Rajin-Sonbong has been the focus of similar past failed efforts in 1991 (when the area was first announced as a free trade zone at the time of the launch of the UN-sponsored Tumen River Area Development Project) and 1996 (when North Korea held an international investment forum that was subsequently eclipsed by the famine). Following a rare visit by Kim Jong Il to Rajin-Sonbong in January, the local leadership has been replaced with cadres who have prior international experience at the central government level, led by former minister of foreign trade Rim Kyung-man. Reported investments include a 50-year lease of one pier to the Russians and a 10-year lease of a second pier to the Chinese. The pro-North Korean Chosun Sinbo reports that a new company, Taepung International Investment Group, has been set up with initial capital of $10 billion to finance investments in sectors including food supply, railways, roads, harbors, electricity, and other energy supplies. North Korea has also set up a new State Development Bank to support this effort. Given the strategic importance of Rajin port as a year-round ice-free port with the capacity to service both landlocked Jilin province and the Russian Far East, the North Koreans are offering opportunities at Rajin that the Chinese and Russians have long coveted. Although there were false reports in late 2005 that the dirt road inside North Korea between Quanhe-Wonjong border crossing and Rajin might be paved in a deal with the Hunchun local government, preparations to improve the road are now underway and the North Koreans have built a large customs facility at Wonjong designed to handle goods coming to and from Rajin port to China. All these activities beg the question of why now? North Korea’s internal economic policies in recent years have focused on reassertion of state control over economic activities. Marcus Noland and Stephan Haggard describe the November 2009 currency revaluation as a confiscatory measure designed to attack the markets. North Korea faces stricter international economic sanctions on suspected shipments of fissile materials under UN Security Council Resolution 1874. Is the effort to attract new foreign investment a measure designed to circumvent the pressure from international economic sanctions? Could the promise of new investment by the Chinese be part of a deal whereby China provides cash necessary for the stability and survival of North Korea’s leadership in exchange for a return to the Six Party Talks and to denuclearization? Was North Korea’s currency revaluation such a big failure that Kim Jong Il has finally realized he has no choice but to follow the Chinese model? Or is the push for foreign investment just another phase following previous phases of apparent economic opening in the 1970s and 1980s through which the North induces foreign investment, but international investors are left holding the bag? Is the Kim regime selling off rights to a part of the family estate in order to earn the cash flow necessary to survive? I have my own admittedly jaded views on these questions, but I invite Asia Unbound readers to weigh in with their own interpretations. SEOUL (Yonhap) — North Korea on March 11 claimed that the Seoul government is effectively blocking South Koreans from visiting its tourist attractions and warned it could revoke all deals covering inter-Korean tours. The North’s Asia-Pacific Peace Committee statement carried by the (North) Korean Central News Agency (KCNA) follows a fresh round of talks held in February that failed to reach a compromise on restarting tourism to the scenic Mt. Kumgang on the east coast and Kaesong, the ancient capital of the Koryo Dynasty (A.D. 918-1392). At the meeting, Seoul demanded an official apology for the shooting death of a female South Korean tourist in July 2008 and a pledge that such an incident will not occur in the future. The South has said a formal investigation must be carried out to determine why the shooting occurred. All tours to the famed mountain were suspended right after the shooting, while visits to Kaesong were stopped in December of the same year. “If the South Korean government continues to block the travel routes while making false accusations, we will be left with no choice but to take extreme measures,” an unidentified spokesman for the committee said. The spokesman said such measures will include the nullification of contracts with South Korea’s Hyundai Asan, which has organized the tours, and freezing real estate and other assets. He did not go into further detail. The official also claimed that there is growing demand from within the country and abroad to open Mt. Kumgang and Kaesong to tourists. “Kaesong will be open to tourists starting this month, while tours to Mt. Kumgang will be permitted from April,” the spokesman said, adding that South Korean tourists who visit the two areas will be afforded complete safety and offered every convenience. In addition, he stressed that whether or not South Korean tours to the two locations will restart or not will depend entirely on South Korean authorities, who will have to bear full responsibility if the cross-border exchange does not take place. The Asia-Pacific Peace Committee official emphasized that Pyongyang has said on numerous occasions in talks with Hyundai Asan executives that every effort will be taken to ensure the safety of South Korean tourists in the future. He pointed out that the North already explained in detail that the death of the female tourist was caused by her crossing into a “no entry” zone in violation of set rules. Despite the latest threat, South Korea made clear that the resumption of tours to Kaesong and Mt. Kumgang depends entirely on Pyongyang providing firm assurances that the safety of tourists will be protected. “There is no change in the government’s stance that concrete measures must be taken to ensure the safety of tourists,” said Unification Ministry spokesperson Chun Hae-sung. He said that all outstanding issues related to the tours must be handled through dialogue.